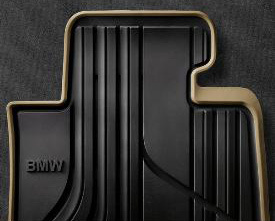 BMW Floormats for the F30 328i and 335i. Select mats in stock are on clearance! 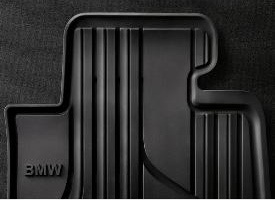 Keep your new carpeting in your F30 3 series looking great by upgrading to these OEM BMW All Weather Floor Mats. 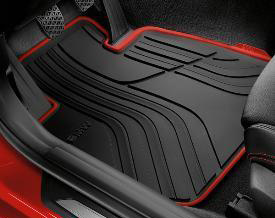 These F30 All Weather Floor Mats are 100% OEM parts and are available in 3 colors, black/red, black, or black/beige. They're made from dirt repellent and water resistant material to ensure your interior stays looking great. While the floor mats are designed for the sport, modern, or basic F30 packages they will additionally fit all F30's if you are looking to go with a different color.